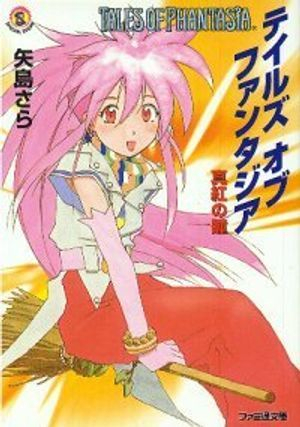 Tales of Phantasia has a lot of novels. The majority of them take place before or after the game. They all expand the story and develop the characters a little further in their own way. Katareki tells the story of what went down with Dhaos and the four heroes from the opening of the game (Winona Pickford, Edward Morrison, Alan Alvein, and Carol Adenade) in the original timeline, before Cless and Mint were sent back in time. It also gives more insight into what happened with Rhea Scarlet and the Demon’s plans in the Valhalla War; like how the Demons aided Midgard in producing Magitech, and intentionally fueled the conflict to drain Yggdrasil of Mana. For the most part this novel doesn’t conflict with the canon in any significant way and does a great job at expanding upon the game. It gives plenty of reasonable explanation for things like how Edward mentioned that he already knew Dhaos, how Hojutsu/Cleric Artes were founded, and why Dhaos can neither heal nor time travel by his own power. A lot of stuff that should have been written into the game itself imo, but oh well. Katareki is the only ToP novel that I would say is canon. It was written to perfectly accompany the additions to the PSX version of the game. The rest are pick-and-choose. There’s a picture of the character page here. Arche-centered novel that takes place in AC 4201. Explains how Arche initially met Rhea Scarlet. 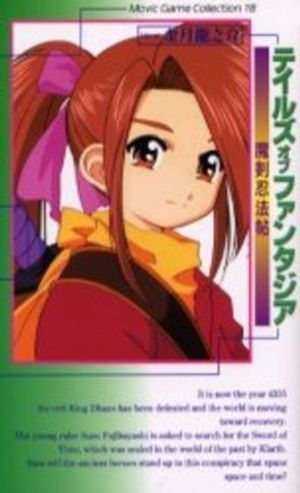 It also gives insight into her relationship with the 19-year-old human swordsman Shinon Hardia, whom she was strongly implied to have slept with. From what I can tell he dies later. Arche and Yuan need to make a “Aselia gives us lemons and we turn them into INDIGNATION” club. Explains how Chester and Cless became such good friends. 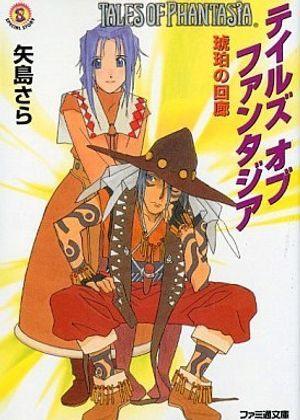 In the book when they were 12 Amy was kidnapped by a remnant of Dhaos’ army who was trying to revive Dhaos. Being responsible 12-year-olds they go on a guy bonding trip to save her. It gives a lot of added insight to Chester’s family. His father was a merchant and his Mother ran the general store, but they died because of Anime parents syndrome. According to one of my sources this book also makes mentions that Arche has been secretly watching over Chester since he was 5. ARCHE PLZ. Main Focus: Klarth and Mirald, CHECK OUT KLARTH PULLIN’ SOME SICK JOJO MOVES THERE SO HIP SO FLY. 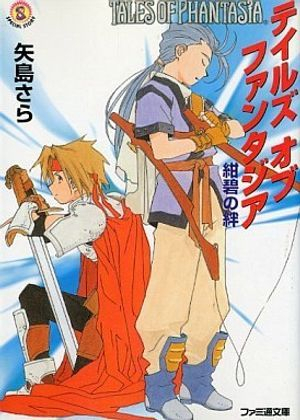 Takes place after Klarth returned to his time with the Eternal Sword. I’m not entirely sure what happens here? From what I can tell someone from the University that Klarth worked at visits him and he has to go do stuff. There’s a Summon Spirit in this one named アレフ/Alef that can make Amber. Main Focus: Mint, GURL WHY ARE YOU IN THE BACK ON THE COVER PICTURE THIS IS MAINLY YOUR GIG WHAT HAPPEN? 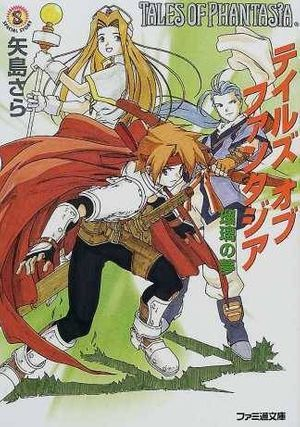 The story of Mint, Cless, and Chester working to rebuild Toltus. Mint doesn’t have a hometown herself and feels kind of left-out in what they’re doing and she starts to have dreams about her Mom(Meryl) and Dad(アルザス/Alzas?). They get some help rebuilding from a carpenter from the yet-to-be-exploded Midgard. This book is a HUGE Mess. There are a few low-quality scans of the illustrations here. Takes place in the year 4355 AC and centers around Suzu going on a quest to find the Eternal Sword that Klarth was supposed to have sealed. She’s joined by Chester and Arche’s 17-ish year old quarter-elf son Falcon. Falcon can use Hojutsu and Magic, but he’s bad with Fire spells because he accidentally burned Chester while he was training. Apparently they’re trying to keep a guy named Richard from stealing to the sword to alter time to marry Asbel before Cheria does. Richard commands a card themed gang called “The Wild Cards”. During the journey to stop Richard, Suzu and Falcon bond a lot and from what I’ve read this book ships them really hard. Like vaguely implied that they got married later hard.